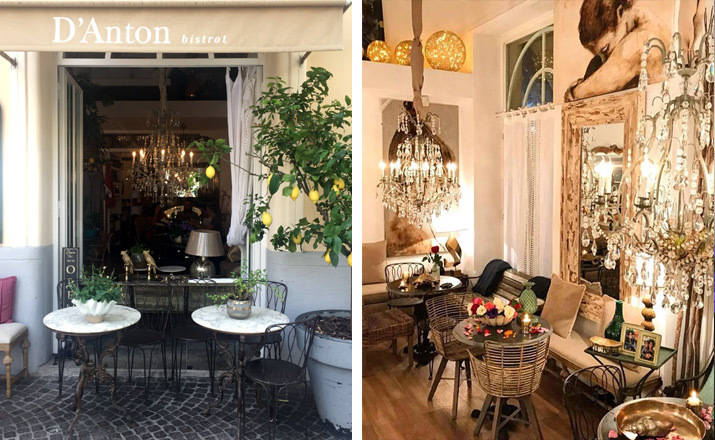 D‘Anton, the designer bistro, sits comfortably on the corner of Piazza S.Antonino in Sorrento, opposite the Tasso Theatre. From the outside, the tables and chairs present a typical image of a small cafe/bistro serving visitors cappuccino and traditional snacks with a classic view across a pleasant piazza. However, inside is a collection of Objets d’art filling the room from top to bottom creating a unique ambience. 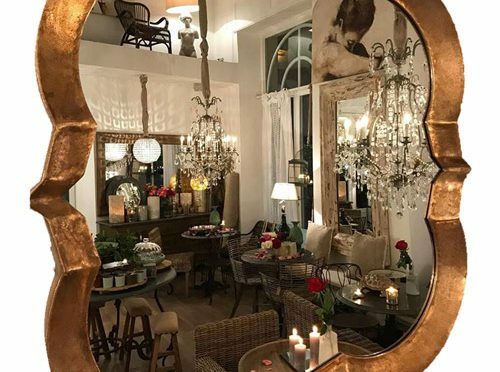 Chandeliers, table lamps, bird cages, statues, paintings, mirrors, ceramics, glass, plant holders, cushions and more compete for attention as a source of inspiration for interior design projects. Try to imagine an Alladin’s cave that has a cocktail bar and food with many of its treasures available for purchase. Dishes of traditional offerings and original cocktails are presented in an equally imaginative way to compliment the surroundings. In the evenings the atmospheric lighting is perfect for romantic interludes. 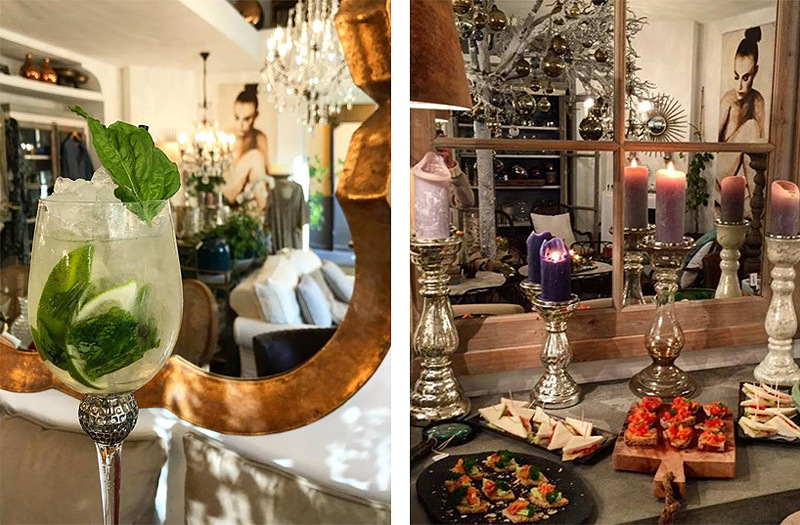 If you are looking for a source of inspiration for interior design, an intimate table with a film-set decor, traditional snacks using local produce, cocktails with attitude (try the limoncello cocktail made from Francesca’s secret recipe), or just the perfect cappuccino then D’Anton is the place. 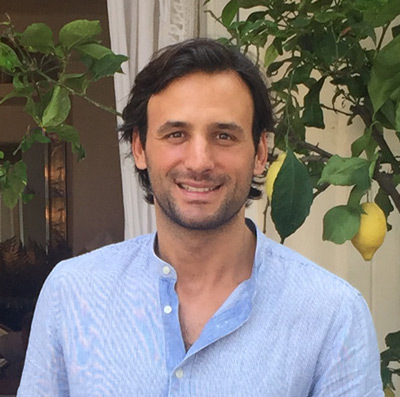 Gabriel, pictured below, and Francesca will be pleased to welcome you.